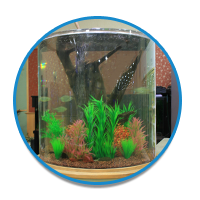 It’s tough to find a larger selection of glass aquariums, stands, canopies and other equipment anywhere other then That Fish Place – That Pet Place. 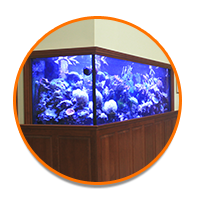 The original aquatic supply company, we pride ourselves in being a destination for anyone looking to start a new aquarium or pet setup. Because of this, we always have a large selection of glass aquarium setups on hand – at the lowest prices anywhere! Need inspiration? 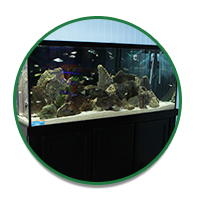 Our store is loaded with some of the largest, most amazing tank setups you’ve ever seen – including our 700 gallon reef aquarium display, our 200 gallon freshwater cylinder tank, and our 220 gallon mixed African cichlid setup. All tanks, stands and wood canopies listed below must be picked up at our Lancaster, PA Retail Store. 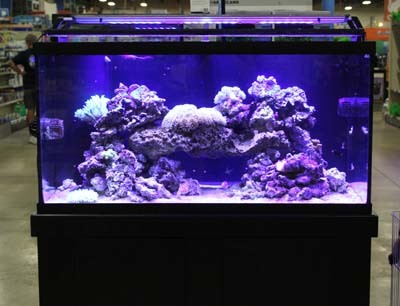 You can order tanks, stands and canopies ahead of time to ensure that they are available upon your visit to the store. A non-refundable 50% deposit made in the retail store is required for special order non-stock tanks & stands. Selection is subject to change. Please call 717-299-5691 for availability and pricing. Item # Glass Canopies- Bows Manufacturer?